We love our pets more than anything! But what about those pesky pet hair that just keeps on coming? If you have a pet, especially a dog that sheds, you will know just how frustrating pet hair can be. Talk about vacuuming, cleaning, dusting or doing anything, and still that tumbleweed of pet hair keeps rolling on the floor. While it’s almost impossible to control shedding of your furry companions and there is no magical solution out there to completely prevent this, you can, however, resort to cheap and effective ways to manage it so that your home doesn't end up looking like one worn out wig. Remember, you don't have to spend a fortune to remove that embedded pet hair from carpet, furniture, rugs and you. Playtex Gloves will always save your day. And the best part is, a pair is always present in your house. All you need to do is take those gloves, dampen them a bit and rub them on the furniture or wherever a bundle of pet hair exists. You will see just how easily they'll stick to the glove and come off in no time. While this may seem like a exhausting piece of work, it sure is one of the cheapest yet effective technique to use. Mostly, when it comes to clothing you would use lint rollers to clear your coats and make them hair-free. Similarly, there exists one amazing product which belongs to the same family of lint rollers and can be used anywhere including on your carpets to remove that embedded pet hair. The Evercare Pet Hair Extra Sticky Lint Roller with 2 Refills 180 Total Sheets comes with a thick, sticky roller and a 3' long handle which makes it a perfect choice for picking up hair on floors, rugs and even carpets. With this one, you will clear out large piles in no time. One of the most convenient ways of controlling this hair-mess is to handle them at the very source, which is your pet dog. A grooming and deshedding glove work like this; you pet your dog, and it picks up the stray hair directly. It mimics your hand gestures, and this is why it is very easy to use. So, this means two things for you: groomed pets and no residual hair all over the place. 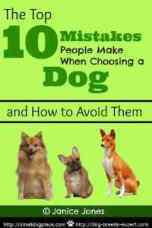 Now this one is particularly helpful for those pet owners who do not like pulling out the vacuum cleaner every now and then. A long sweep with a Swiffer Sweeper will wipe off any pet hair or dust bunny that is dominating your floors. Not only does it last a long time, but it can actually wipe off any dirt or mud footprints that come in with your hyper-energetic pets. Another type of vacuum cleaner that has become popular with pet owners is the cordless sweeper. Easy, lightweight, and portable, these sweepers make cleaning much easier. Another very common household item which can be of massive help to all pet owners are the traditional carpet rakes. While a normal carpet rake would not perform as great as it should, for pet hair there are special rakes available. The bristles of those rakes are coarse and made out of thin metal or plastic while the handle is relatively longer. So even if you have deep piles of embedded dog hair in your carpet, a little rake motion will pull them out and you will be able to see a cleaner carpet. While it may seem like little help, using a good line of advanced dog or cat brushes is one trusted solution that will keep your pets and environment groomed. Usually a brush with firm pins does the job more effectively as compared to those with soft pins. 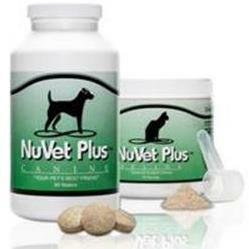 Plus, brushing your pets twice a week can drastically cut down the amount of residual fur that just comes around. Nevertheless, it will also keep those bugs and mites off as well. Wooden and other non-upholstered furniture is bound to take a lot of beating by this pet-hair frenzy. But it is probably the easiest form of material to deal with. You will only need to use a micro-fiber cloth for this one. The static current will save your day as the micro-fiber cloth will pick the hair up in no time. Just be sure to sprinkle some water over the cloth so that it gets a little "sticky" picking up hair quicker. That’s really all you need to do to remove that annoying embedded pet hair. Just be sure to change the cloth every now and then, otherwise you will be leaving trails of hair behind. And that's about it. 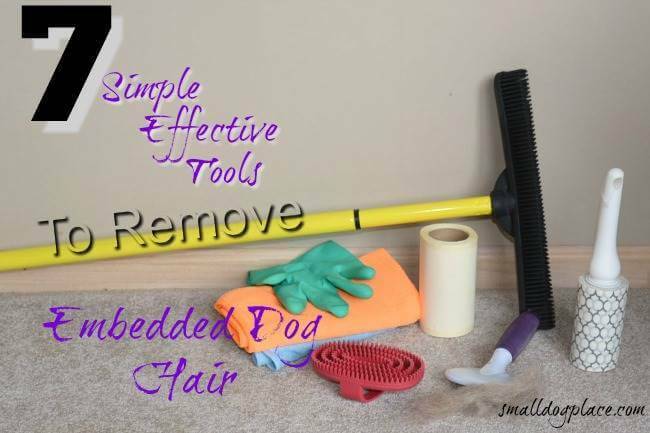 With a few simple tools and techniques in your cleaning routine, you can change the whole hair-deposit scenario in no time and have a cleaner, healthier living space for both you and your pets. Ibrahim is a passionate writer, tennis player and a big fan of furry pets. Other than writing, he enjoys kayaking and reading books by the lake.